And, finally, here is something that millions of beer drinkers dreamed about their whole lives. KegWorks sells BrewCave – a walk-in beer cooler with a built-in Kegerator, which is quite possibly the world’s largest kegerator! With measures roughly seven feet wide by seven and a half feet tall by five feet deep, it has shelves for over 30 cases of beer and four kegs, which is quite enough for start sports weekend. The BrewCave is the walk in cooler that has everything! 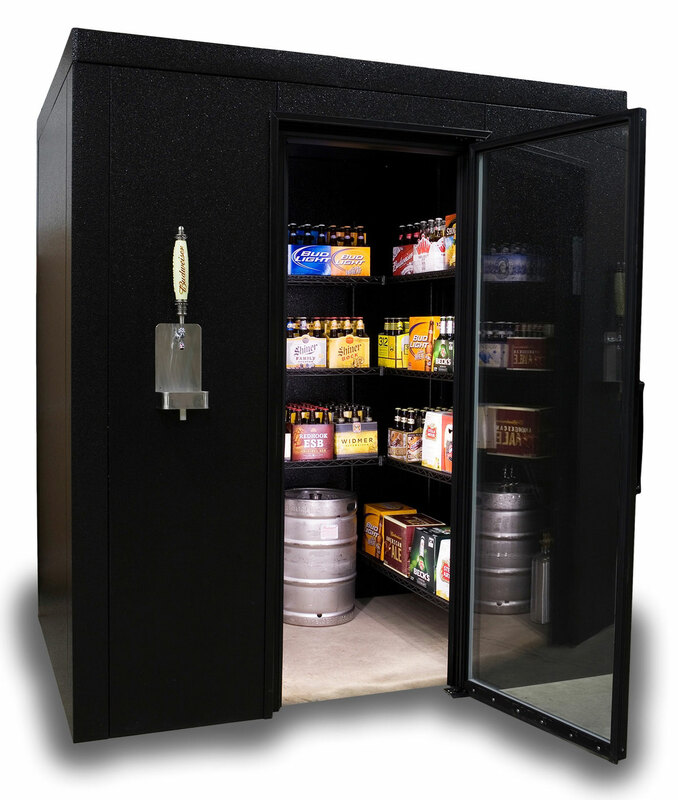 Each unit of the BrewCave Walk-In Beer Cooler & Kegerator is fully tested and each piece is shipped as individual panels engineered to provide quick and easy assembly where you want it to be. Every panel (and the optional floor) has four inches of insulation sandwiched between inner and outer metal skins, so you know the inside of the cooler will remain igloo-cold. It has a 3/4hp refrigeration system designed to maintain an icy cold temperature of 32 degrees. 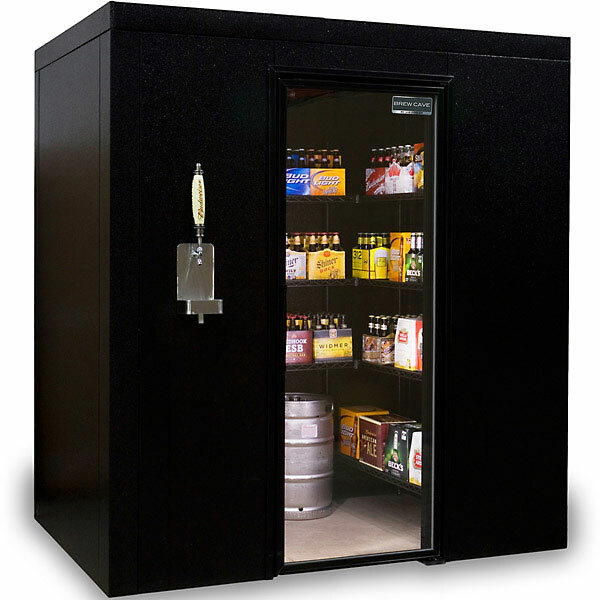 You can order the BrewCave Walk-In Beer Cooler & Kegerator from Kegworks for $6,349.If you pay $400 more,you’ll get an stainless steel 4” insulation floor.